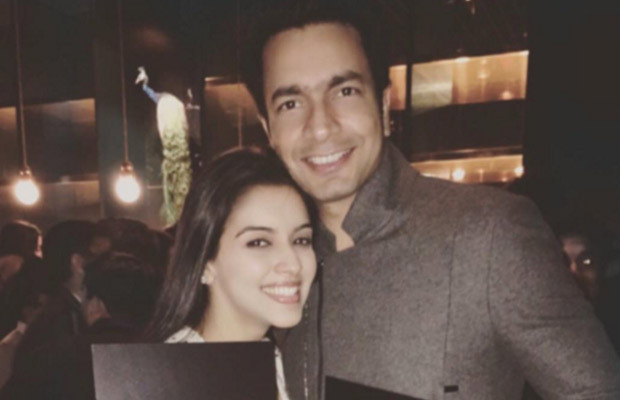 Home BOLLYWOOD Photo: Asin And Rahul Sharma Partying Together Like Never Before! [tps_footer]Bollywood actress Asin Thottumkal and business tycoon Rahul Sharma got married to each other recently. The actress didn’t marry once, but twice in two, Christian and Hindu rituals. The Christian wedding took place in the morning of January 19 and the other Hindu wedding took place at a resort in the evening. After everyone got a glimpse of Asin and Rahul Sharma‘s fairy tale wedding, the two hosted a grand reception for B-town industry. Well, it’s been few days for their wedding and the two very much in love couple just can’t stop flaunting their love on social media. One can see the two who are partying together at a friend’s party are holding placards which have Don and Mohabbatien written on them. They just look adorable together! The wonderful couple is all in party and celebration moods. 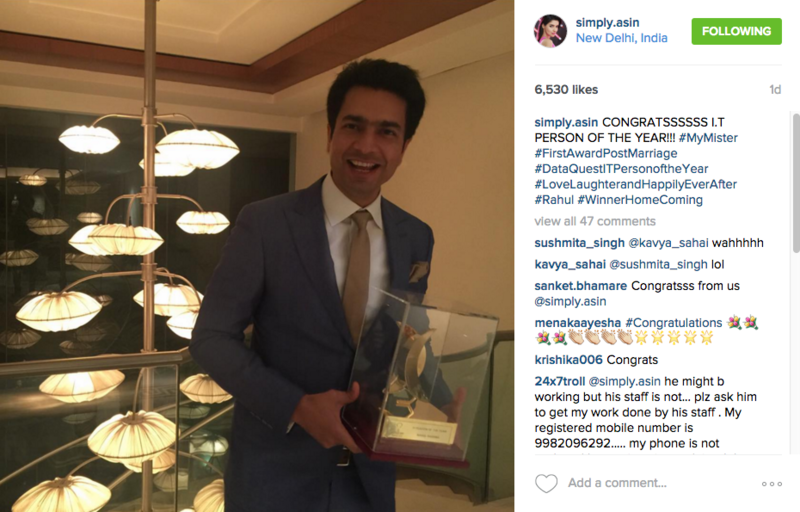 Yesterday, appreciating her hubby’s win, Asin also shared a picture of her husband on receiving ‘IT person of the year’ award. 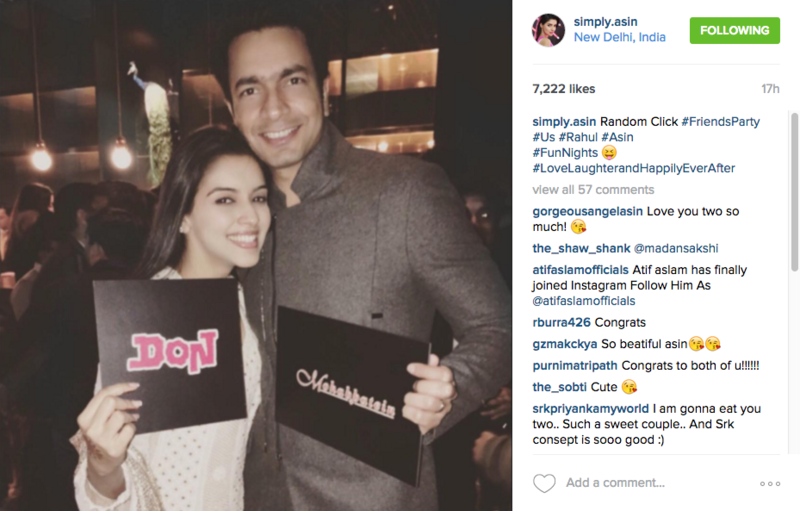 Well, Asin proved to be the lucky charm for handsome Rahul Sharma, just few days after their wedding. 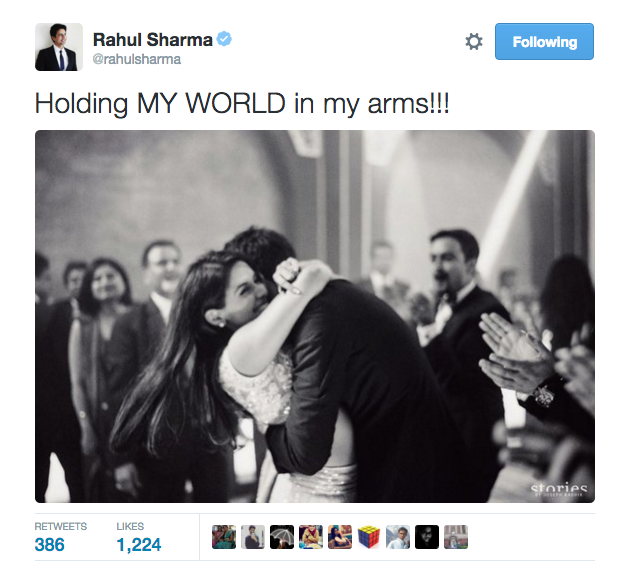 Not just Asin, just after their wedding reception, Rahul Sharma tweeted the picture of the couple hugging each other with the caption, “Holding MY WORLD in my arms!!! Previous articleDeepika Padukone-Ranveer Singh’s Bajirao Mastani Is In Legal Hassle Again! Next articleHere’s The Revelation On Arbaaz Khan And Malaika Arora Khan’s Separation Rumours!